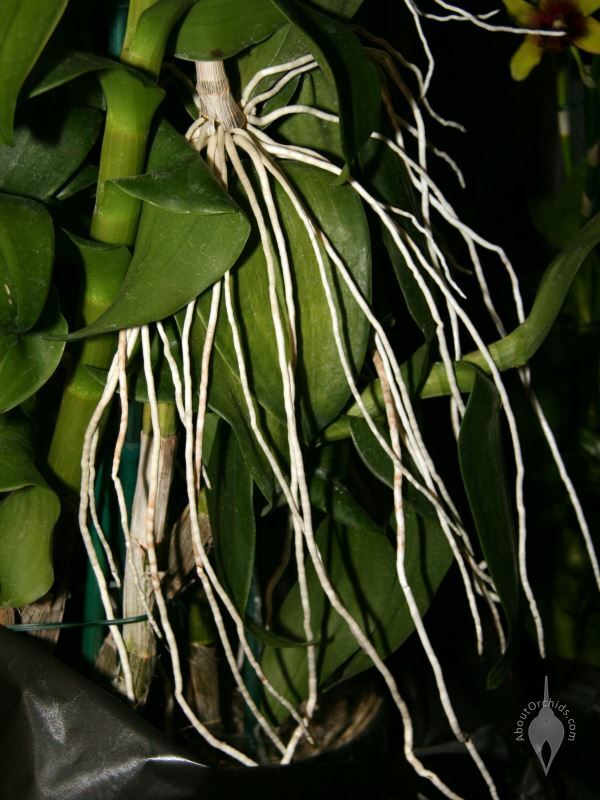 Healthy roots are essential for healthy orchids. 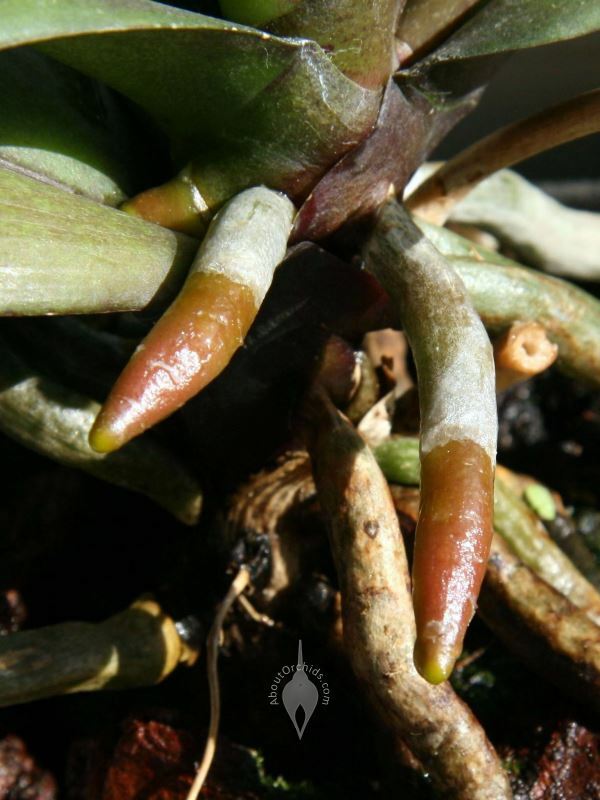 Many people are tempted to cut off their orchid’s roots because they seem unattractive, but that’s bad for the plant. 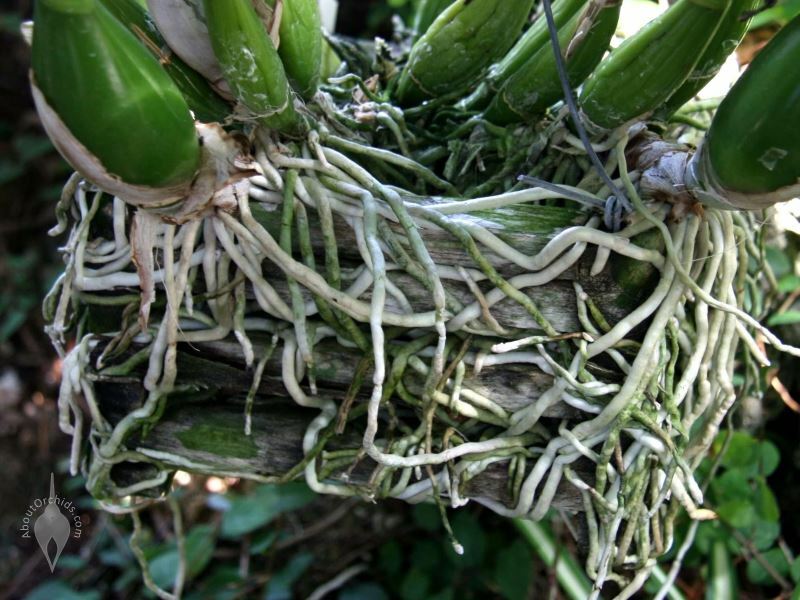 Whether they’re air plants or terrestrials, orchids need happy roots to survive and thrive. 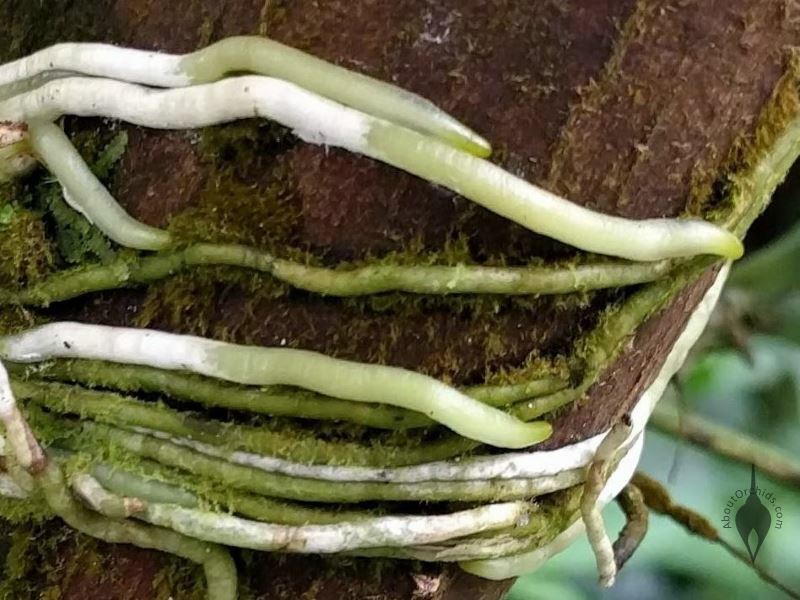 Some types have thick roots, while others have thin. All have central, wiry cores, surrounded by outer layers of absorbent cells called velamen. 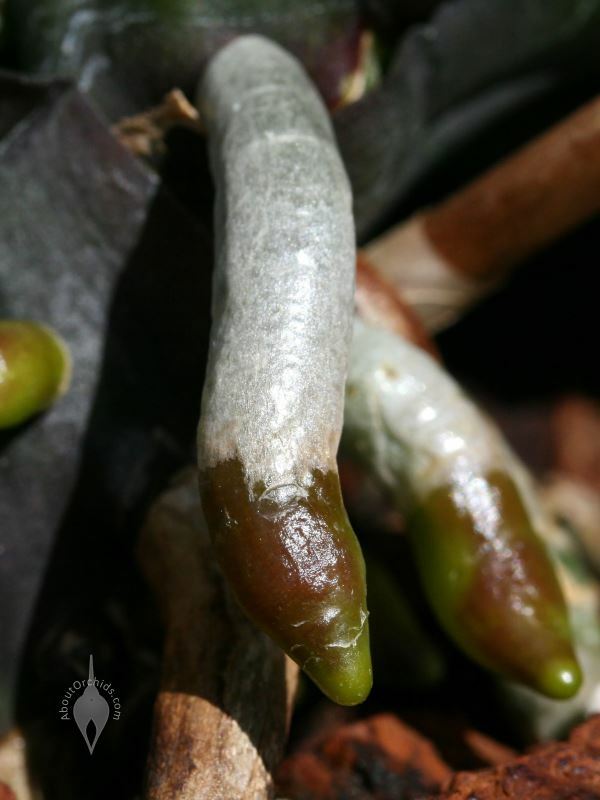 This outer layer is white or greenish-white, with light green growing tips. 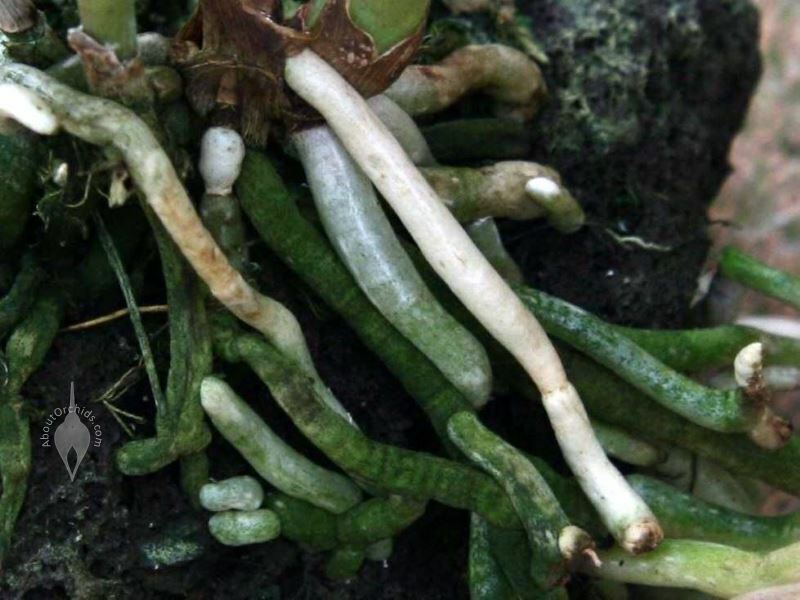 Roots may also be brown from growing media or red from sun exposure. Healthy roots are firm, and essential to absorb water and nutrients. 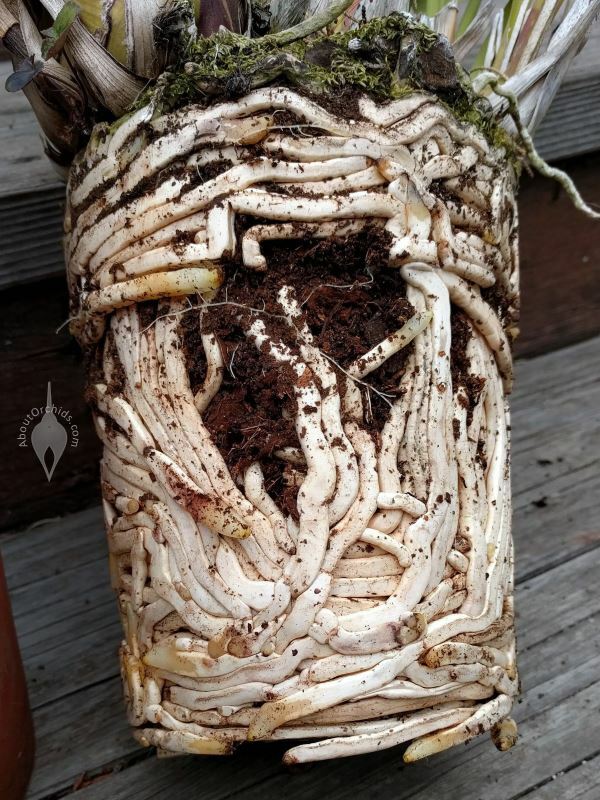 Mushy or hollow roots are dead and should be removed, a task which is often done during repotting. 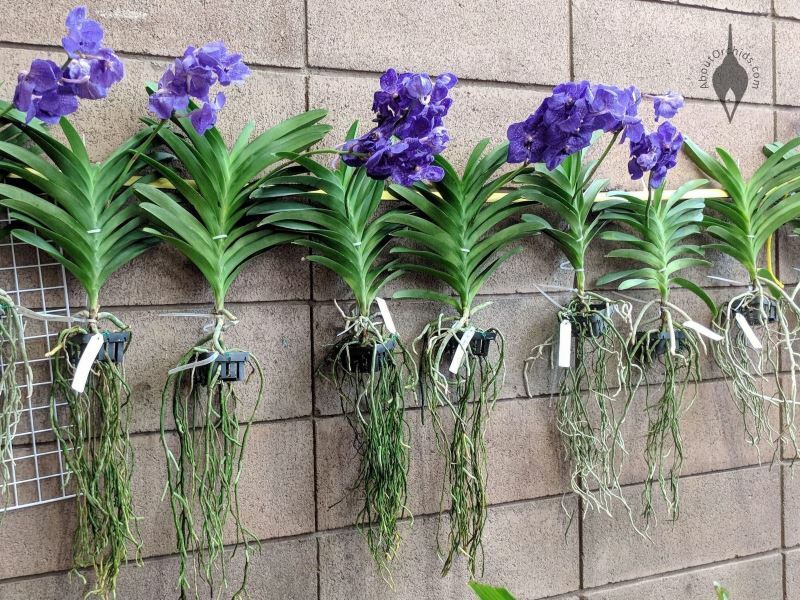 Moth Orchids and Vandas are popular varieties which like to have their roots in the open air. 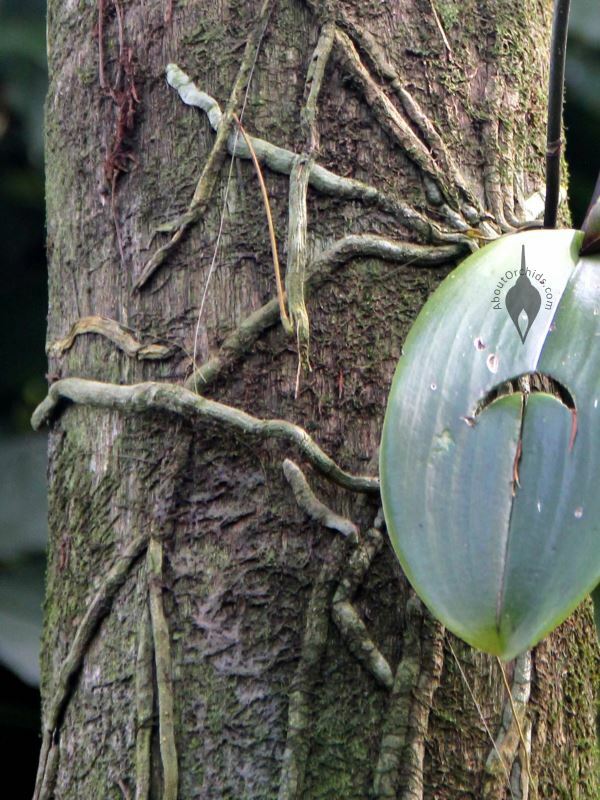 In the wild, they anchor to tree trunks and branches to live as air plants. Others don’t mind growing in small, crowded pots. To grow well, they all need good humidity and breezes to keep the air moving. 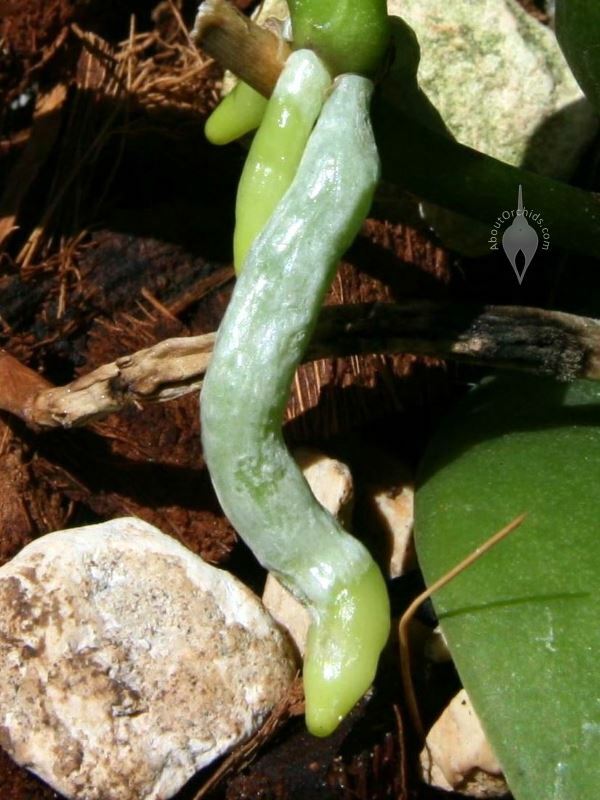 Some types have chlorophyll in their roots, which photosynthesize along with the leaves. 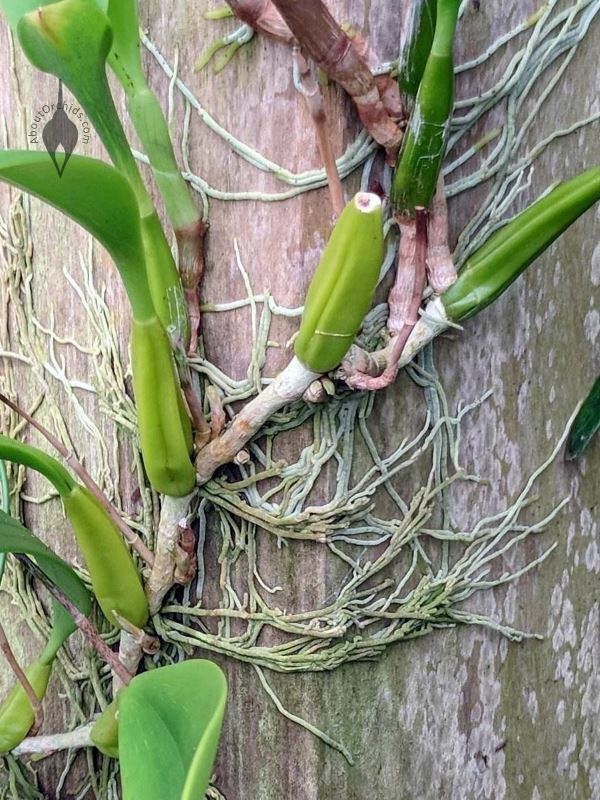 Happy, healthy roots can give an orchid the energy for great blooms. 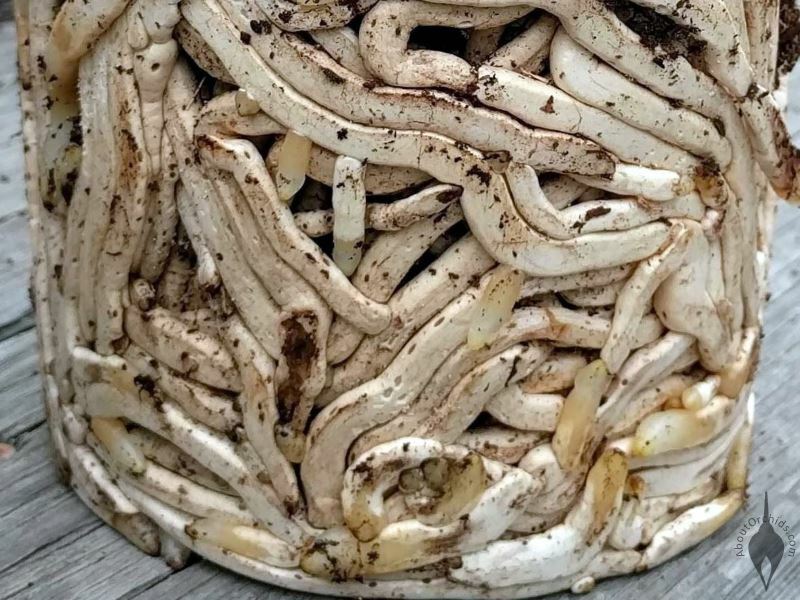 This entry was posted on Tuesday, April 16th, 2019 at 8:06 pm	and is filed under Growing, Photos. You may comment below or link directly to this entry from your own site. Your comments will appear immediately, but I reserve the right to delete inappropriate comments.